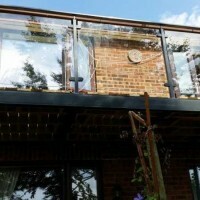 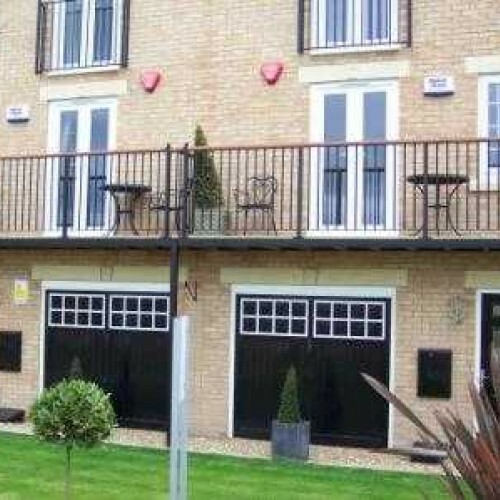 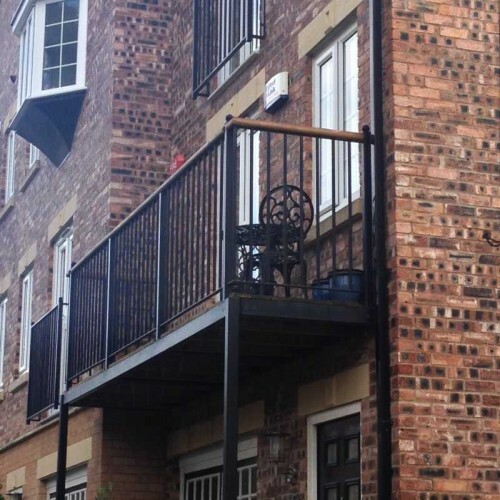 Made to measure walk out balcony system with wrought iron balustrade railings. 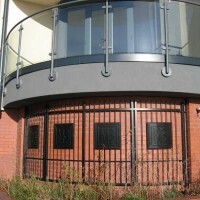 All steelwork galvanized and powdercoated finish, black as standard. 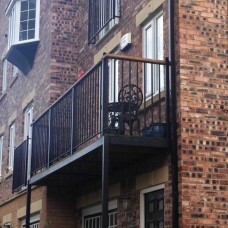 Other balustrade styles available - please ask.